File this under.. why didn’t I try this forever ago?! 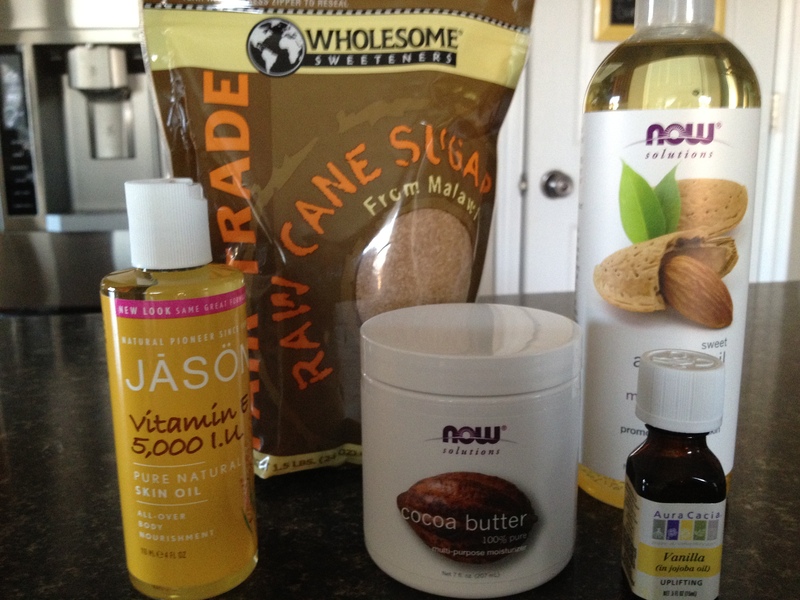 This weekend I whipped up the sugar scrub recipe from The Bust DIY Guide to Life. I just finally picked up a copy of this book, and I LOVE it. Mostly I love it because it reminds me of being in college. I LOVED BUST Magazine. This book has lots of easy DIY tips and projects that aren’t fit for Pinterest fame or Martha Stewart Living, admittedly. It’s just good-old-fashioned fun. I needed to be reminded that not everything you make has to be a Pottery Barn copycat to be cool. The instructions are ridiculously simple. Mix the sugar and almond oil in a bowl. Add the vitamin E oil and cocoa butter (which you will need to microwave in a small bowl – it’s a solid). Add a few drops of essential oil and mix again. Store in a jar. The scrub smells sooo good, and would compete with any you could buy. 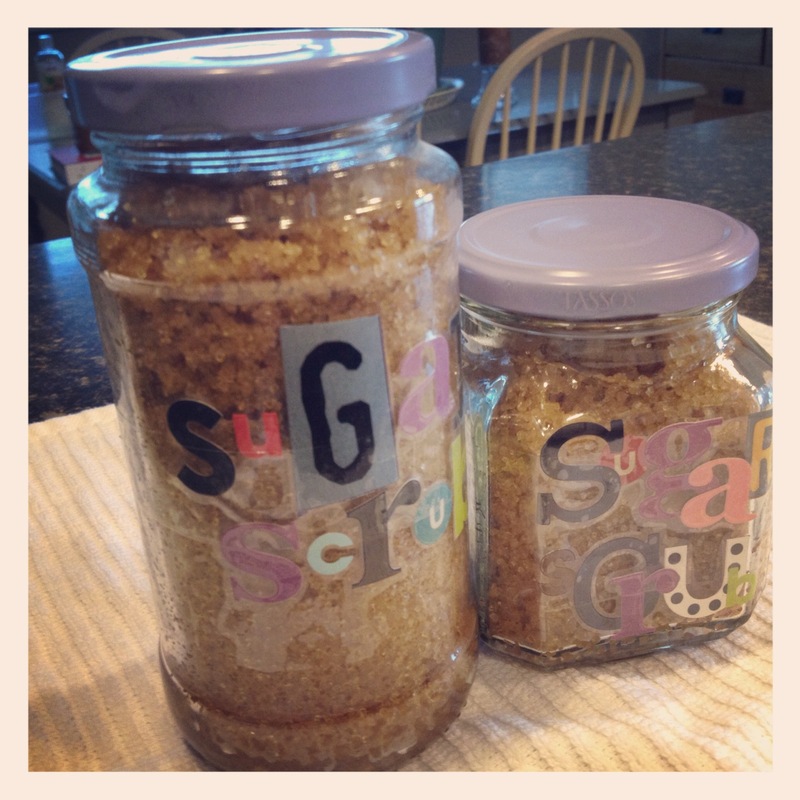 Now that I have all the supplies (I would have to buy more sugar is all) I could make up tons more of this for Christmas gifts, which I just might…! Ah! Why don’t I own that book? It looks amazing! Previous Previous post: fall cleanse – october is detox month!